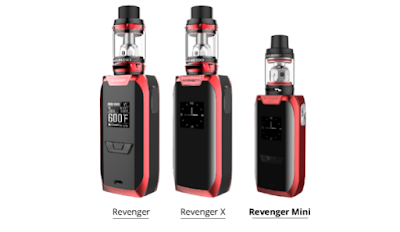 The Revenger Mini Kit is a member of the Revenger family. Will it bring us new feelings this time? Well, take a look at its appearance. It's the same three buttons that Regenger uses. Behind the mod is a unique Lighting Pattern, which you can set to choose your favorite pattern. This is really Cool. This time, the Regenger Mini is paired with the NRG SE Tank. You can find two coils, a GT4 coil and a GT CCELL coil from the package. The Revenger Mini is the smallest device in the Revenger family, but it hides a 2500 mAh Built-in battery and maximum output 85W. To be honest, with the cooperation of GT COILS, the Revenger Mini Kit also shocked me and it was even difficult to find the shortcomings. But if you are a friend who likes high power, then Revenger Kit may be more suitable for you. 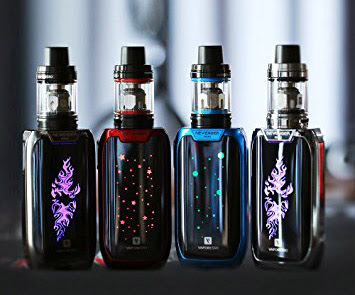 If you want to find a Starter Kit, Revenger Mini (Buy it from Cloumix)will not disappoint you.